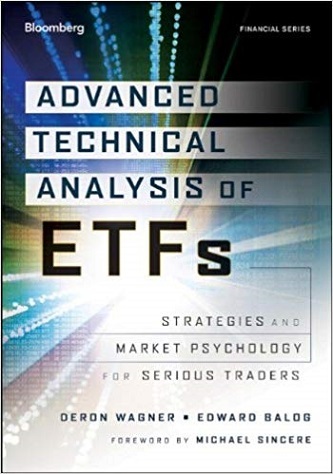 Advanced Technical Analysis of ETFs is an important resource for sophisticated ETF traders that contains a wealth of expanded strategies for technical trade setups and includes the author’s best real trade examples (both winning and losing), as well as additional user-friendly technical indicators. Step by step this book offers you a how-to guide for profiting from ETFs through a unique strategy of technical analysis that was outlined in Wagner’s previous book and summarized in the introduction. The strategy is designed to compare relative strength using a top-down approach. In this book, Wagner focuses on new indicators not previously covered including candlesticks (Doji, Hammers, Hanging Man), Fibonacci, and others. He also explores essential new developments on moving average divergence/convergence (MACD), and institutional trading impact and how these elements now exert influence on the market. Written in a straightforward and accessible style, this book will help sophisticated traders make the most of today’s ETFs.